The Whiskey Roadshow is back, Tuesday 19 September from 5.30pm at The Clock Hotel for Sydney Bar Week. Returning after a successful first year in 2017, the Whiskey Roadshow returns to day five of Sydney Bar Week this year at The Clock Hotel. 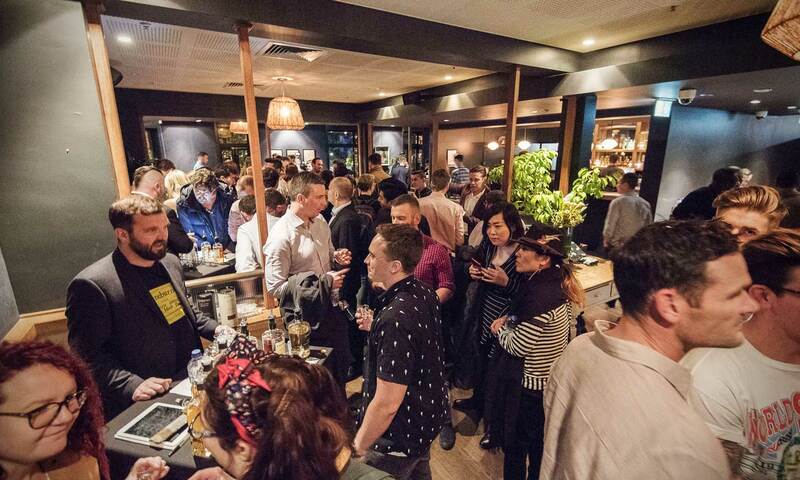 More than a dozen of Australia’s best whisky distributors will be showcasing a number of brands on the night, marking it the perfect way to cap off a big week of bar culture. Tickets to the Whiskey Roadshow are available now — but we’ve got 30 free VIP trade tickets to giveaway (click here to get yours now) and they get you access to sample any of the whiskies on offer, snacks, and entry to the three whisky seminars taking place that night. And the three talks have some wonderful whisky love for you to get into — take a look at what’s on offer below. What were you doing 25 years ago? How much has changed in that time? In an ever changing world some things are best left untouched. That’s exactly what has happened with the iconic cask finish whisky, The Balvenie 12 DoubleWood. Join Balvenie’s Ross Blainey for a look at how the DoubleWood develops and a close look at how cask finishing really works at a unique tasting of cask samples from the Balvenie warehouse hand selected by Ross. Join Gee David for a brief history of the world’s most awarded distillery, their process and the men behind the whiskies. He will then focus on the annual release of the Antique Collection, the various mash bills, the ageing and selection process and evaporation loss suffered before we are able to bottle any of these amazing whiskies. Enjoy a Bushmills Irish whiskey and cheese pairing session. Whiskey expert, Rachael Merritt, will walk you through a range of whiskeys from Ireland’s oldest distillery, Bushmills, while cheese expert, Claudia Bowman, will carefully select some of the most interesting artisan cheeses from the Emerald Isle to match. If you’ve got a whisky brand you’d like to show at the Whiskey Roadshow, there’s a limited number of tables left — email organiser David Spanton on david@spantonmedia.com to get involved. This is just one of the 30 great events lined up over five days of Sydney Bar Week, taking place between Saturday the 15th and Wednesday the 19th of September. It’s set to be the biggest Bar Week yet — get over to the Bar Week site here and get your RSVPs and tickets sorted before they run out. Tickets: Click here to get yours. The Whiskey Roadshow is a chance to take whiskies from all over the world for a spin. There will be loads of amazing whiskies to try & buy along with free masterclasses. If you’re a whisky enthusiast or even new to the world of whiskies then this show is for you. Early Bird tickets $35 until the end of August, with 30 free VIP trade passes to giveaway. Click here to get yours.